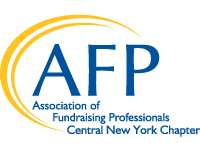 AFP-CNY can help reach the most qualified candidates to fill open positions in your organization. Jobs are posted on afpcny.org, emailed to our complete contact list and posted on our social media pages. Connect with the top applicants in these three ways for $100.00 for the first month. You may repost for $75.00 each additional month. Your position will be posted within 3 days of submission. Please email afpcny@gmail.com with the job description. Thank you! YWCA of Syracuse & Onondaga Co. Inc.